From July 1972 - October 1975, Quang was a student at the People's Police School and School of Foreign Languages under Ministry of the Interior (now Ministry of Public Security). From June 1987 - June 1990, he worked as head of the staff office and head of the professional office, Political Protection Department II, under Ministry of the Interior (now Ministry of Public Security). From June 1990 - September 1996, he was Deputy Secretary of the Party Committee of and deputy head of Security Staff Department, Ministry of the Interior (now Ministry of Public Security). 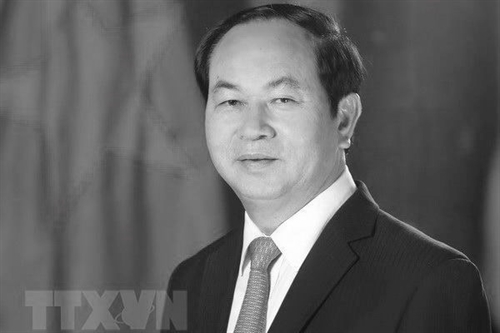 From August 2011 to April 2016, he was Politburo member (11th and 12th tenures), member of National Defense and Security Council, member of the Party Committee of the Government, Secretary of the Central Public Security Party Committee, Minister of Public Security. He was promoted to Senior Lieutenant General in 2011 and General in 2012.